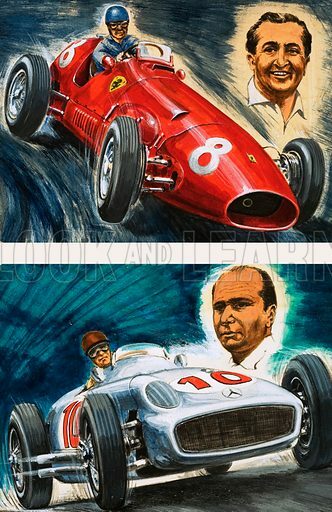 Alberto Ascari driving a Maserati (top) and Juan Manuel Fangio driving a Mercedes-Benz (below). Original artwork from Look and Learn no. 470 (16 Jan 1971). Available worldwide for immediate download up to 3,224 x 4,963 pixels.